Ed & Christine celebrate the purchase of their new Sykesville, Maryland, home with Jerry Kline (left), realtor, Keller Williams Flagship of Maryland. Jerry also helped the couple sell their former home in Severn, Maryland, as part of the couple’s relocation. Ed & Christine were tired of living in the hustle and bustle of the frenetic Baltimore-Washington, D.C., corridor. On weekend camping trips to the serene countryside of Carroll County, Maryland, they began to consider what it would be like to move from their Severn, Maryland, home and adopt a slower-paced lifestyle in a quieter, more tranquil location, far away from the noise, traffic and demands of urban living. To make the switch, they contacted Jerry Kline, realtor with Keller Williams Flagship of Maryland. Jerry had helped the couple sell their investment property in Pasadena, Maryland, a few years ago, so their established relationship helped ease Ed & Christine’s transition to a new location. Jerry recently sold the couple’s former home at 7707 Brasswood Lane in Severn -- in two weeks and for full asking price. And the couple just finalized the purchase of their new, spacious colonial in Sykesville, Maryland. Ed and Christine are so happy with the result! 7707 Brasswood Lane in Severn, Maryland. The home was recently sold in two weeks for full asking price ($575,000) by Jerry Kline, realtor, Keller Williams Flagship of Maryland. Ed & Christine’s former home drew multiple purchase offers as soon as it hit the market. The magnificent 4,200 sq.ft. custom colonial has every conceivable upgrade. Offering sophisticated elegance at every turn, the home featured a 20-foot ceiling on the main level, acres of hardwood flooring and a gourmet kitchen. The home also boasted a luxury owner's suite, two family rooms, and a park-like, fenced backyard with garden, patio, fire pit & treehouse. 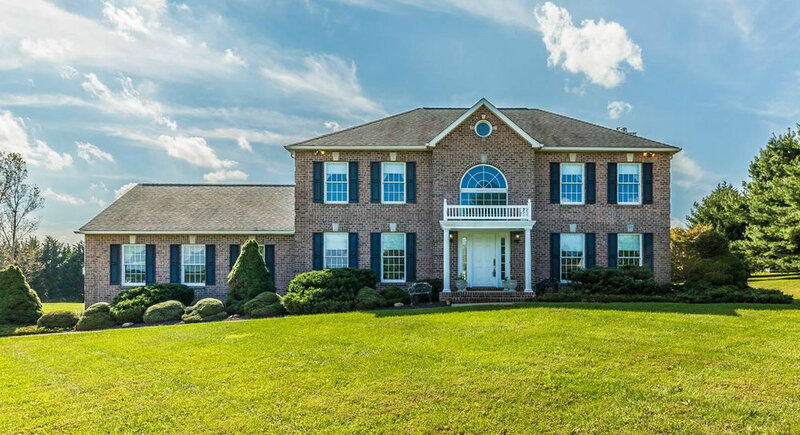 The new brick colonial in Sykesville, Maryland, purchased by Ed & Christine. The couple was represented by buyer’s agent Jerry Kline, realtor, Keller Williams Flagship of Maryland. Ed and Christine’s new home is just as lovely -- a stately, brick colonial resting on a landscaped, 2-acre lot in a pastoral, country setting. The home includes huge bedrooms, multiple entertaining areas and classic built-ins and millwork. For his part, Jerry Kline is tremendously thankful that Ed and Christine allowed him to help with their home relocation. If you or someone you know needs a realtor who cares about his clients, really knows the central Maryland area and is easy to reach by phone, text or email, have them call Jerry Kline (443-924-7418) today! Just Listed for Sale: Eastport Luxury with Water Views $1.29 Million! This expanded and renovated stunner at 204 Lockwood Court in the heart of Eastport embodies true Annapolis maritime tradition. Just listed for sale by Jerry Kline, realtor, Keller Williams Flagship of Maryland, the home is a distinctive fusion of the Craftsman & Coastal architectural styles. Imagine for a moment a warm summer’s evening in the bucolic Annapolis maritime community of Eastport. Steps from the town’s Historic District, sleek yachts and sailboats bob in calm water at backyard piers. Friendly neighbors offer a cheerful hello as they walk their pets through quiet streets. A few blocks away, savory steaks and ice-cold cocktails are served on the rooftop dining areas and outdoor patios of top-flight restaurants. 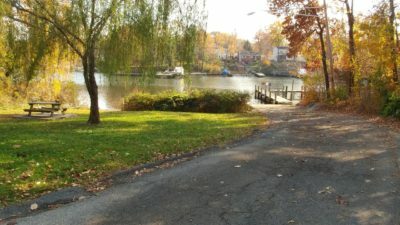 Spa Creek and Lockwood Court in the Annapolis community of Eastport. 204 Lockwood Court, recently listed for sale by Jerry Kline of Keller Williams Flagship of Maryland, sits in the middle of it all. This fully & meticulously renovated home in the heart of Eastport is a distinctive fusion of the Craftsman & Coastal architectural styles. The home features a 4-level custom design, multiple views of Spa Creek & Historic Annapolis, and 3,624 square feet of exceptional craftsmanship, materials and details. Updated and expanded in 2017, the home is perfect for entertaining – or relaxing. Discerning interior features include a wide-open floor plan with reception area, a gourmet kitchen, an inviting family room, an office, and premium millwork, built-ins and hardwood flooring. The expansive family room of 204 Lockwood Court in Annapolis. On the 2nd floor, you'll find a huge owner's suite with luxury bath, two other large bedrooms, a hall bath and a shaded corner lanai/balcony. The second floor lanai of 204 Lockwood Court. The 3rd floor offers a private oasis -- a unique loft/bedroom suite that features hardwood flooring, arched ceilings, a full bathroom and more water views. The rear exterior of 204 Lockwood Court. Outside, you'll enjoy fresh air, coffee and water views from the lanai. 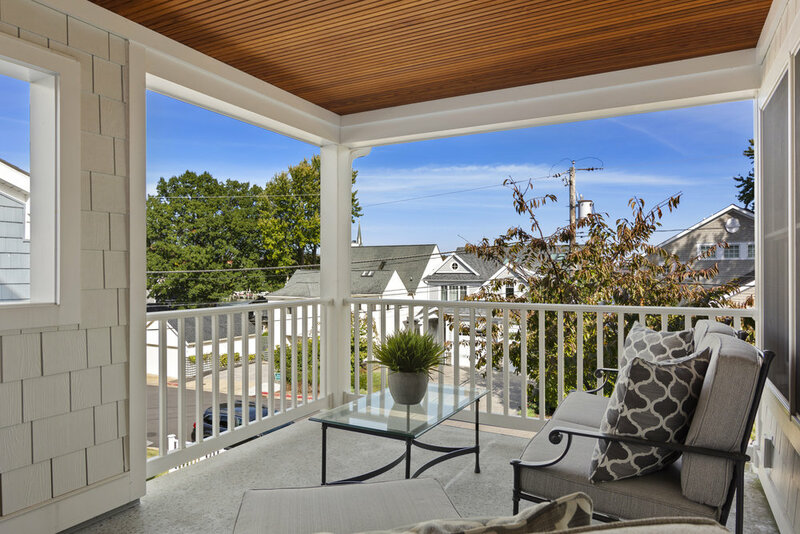 The front and rear porches -- and tastefully manicured yard -- inspire true indoor-outdoor living. Tucked at the end of a desirable street, the home is a short walk to Eastport shops, restaurants, boat-slip rentals and downtown Annapolis. The property has street access from both the front and rear sides. With the 1-car garage and 2+ car driveway, you'll always have plenty of parking. This distinctive home is being offered for sale at $1,299,000. Call Jerry Kline today for more information or to schedule a private tour (443-924-7418). Sold by Jerry Kline in Piney Orchard! When a growing family and lack of space led Josh & Mallory to search for a bigger home, the young homeowners contacted Jerry Kline to get their Piney Orchard townhome sold fast. In two weeks the deal was done, and 2523 Black Oak Way in Piney Orchard’s Piney Station subdivision had new owners. What really drew potential buyers to the home was Mallory’s personal touch for staging and decorating the property. The living room of 2523 Black Oak Way in the Odenton, Maryland, community of Piney Orchard. Jerry Kline, realtor with Keller Williams Flagship of Maryland, recently listed and sold the home for $351,000. The home featured great lighting, updated materials and soothing colors to help create a feeling of warmth and comfort. The beautiful sun room of 2523 Black Oak Way in the Piney Orchard section of Odenton, Maryland. The home was recently listed and sold by Jerry Kline, realtor, Keller Williams Flagship of Maryland. Thanks, Josh & Mallory for choosing Jerry Kline as your listing agent! Do you know someone looking to buy or sell a home in the greater Baltimore/Annapolis/Washington, D.C. area? Call Jerry Kline (443-924-7418) with Keller Williams Flagship of Maryland today! Sold in Hanover in Four Days by Jerry Kline! This renovated, single family home located at 1477 Gesna Drive in Hanover, Maryland, was recently sold for $279,000 by Jerry Kline, realtor, Keller Williams Flagship of Maryland. Mark and Lisa owned and managed their Hanover rental property on Gesna Drive for more than 20 years. Located just three miles from Fort Meade, Maryland, and one mile from the new Maryland Live Casino and Hotel at Arundel Mills Mall, the home was very popular with tenants. 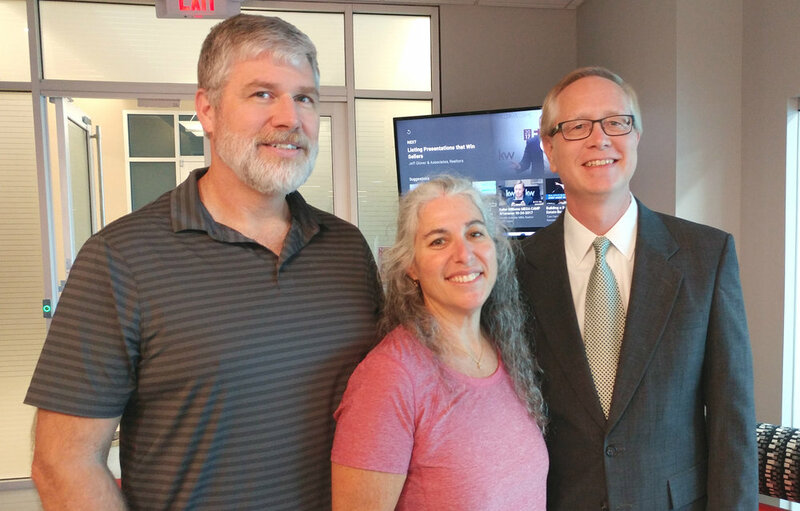 When the time came to sell the property and liquidate the asset, Mark and Lisa turned to Jerry Kline with Keller Williams Flagship of Maryland. Jerry sold the home in just four days, for the full list price of $279,000. After renting out their Hanover, Maryland, investment property for more than 20 years, Mark and Lisa recently hired Jerry Kline, realtor with Keller Williams Flagship of Maryland, to sell the property. Jerry sold the home in four days for the full asking price. Do you know someone looking to buy or sell a home in the greater Fort Meade, Maryland, area? If so, contact Jerry Kline (443-924-7418) with Keller Williams Flagship of Maryland today! For Rent in Piney Orchard -- 2474 Ivy Landing Way -- $2,000/mo. 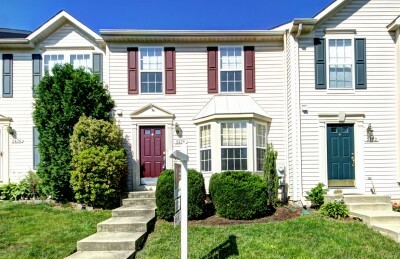 Just listed for rent in the Piney Orchard section of Odenton, Maryland, is this 3-bedroom, 2.5-bathroom townhome at 2474 Ivy Landing Way. The property, renting for $2,000 per month, is located just across the street from a large park, and is five minute's drive from Fort Meade, Maryland. The townhome has 3 finished levels with large bump-out areas on 2 levels for extra space. There's a bright and airy sunroom off the kitchen and a finished basement with family room. The master bedroom has a walk-in closet and full bath. 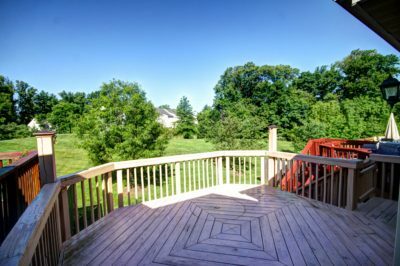 A very large deck on the rear of the home offers great outside space for entertaining. The house is super clean and comes with 2 assigned parking spaces. Piney Orchard offers tons of community amenities, including indoor and outdoor pools, tennis and basketball courts, running trails, a gym, a community center, and much more. Call me today (443-924-7418) for more details! Chelsea Beach in Pasadena – New Listing Under Contract! Congratulations, Ed, your home at 197 12th Street in the Pasadena, Maryland, neighborhood of Chelsea Beach is under contract! Hugged by nature this charming, renovated home is located in a great school district. The upstairs features an updated kitchen, updated baths, a rustic wood fireplace with woodstove insert, three bedrooms and hardwood floors. The lower level offers heated ceramic floors, a renovated full bath, a huge family room and an office/workout space. Outside, watch a variety of wildlife from the rear deck or concrete patio. This quiet oasis borders a thickly wooded conservation area and boasts Magothy River access via a private community boat ramp and park. Do you know someone looking to buy or sell a home in the greater Baltimore/Annapolis/Washington, D.C. area? I can help! Have them contact Jerry Kline today (443-924-7418)! Under Contract - 29632 Tallulah Lane in Easton! Congratulations, Linda, your home is under contract! This 4-bedroom, 2.5-bath property is loaded with upgrades. It includes new neutral paint and wood flooring, new stainless steel kitchen appliances, a new HVAC system and 4 good-sized bedrooms, including a huge master bedroom suite. Also featured are a large concrete front porch, an extra-deep garage and a spacious, fenced backyard with a deck and shed. The tentative closing date for the sale is Jan. 25, 2017. Thanks, Linda, for choosing me as your listing agent! 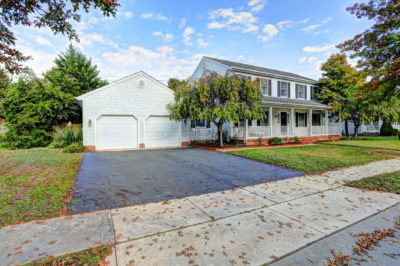 Take a look at this 10+ home just listed at 29632 Tallulah Lane in Easton, Maryland. At $275,900, what a bargain! This 4-bedroom, 2.5-bath property is loaded with upgrades. And so tastefully presented! New neutral paint and wood flooring throughout. New stainless steel kitchen appliances! A new HVAC system! 4 good-sized bedrooms, including a HUGE master bedroom suite. Also featured is a large concrete front porch, perfect for sitting out in the evenings with a cool drink. An extra-deep garage includes a workbench and lots of storage. There's a spacious, fenced backyard with a deck and shed. All this is located in a prime location near shopping and restaurants! And no HOA! Buyers also should note that the sellers want to sell virtually all of the furnishings, most of which are new. So you can move in with just a suitcase! Jerry Kline is a Realtor with the Odenton, Maryland, office of Keller Williams Flagship of Maryland (1216 Annapolis Rd., Odenton, MD 21113.) For more information on the local real estate market, contact him at (443) 924-7418, or visit his website or blog . Step into the timeless elegance of this custom, all-brick estate home set on a 1.11 acre, level, corner lot. At 5,400 sq. ft., the home boasts the finest materials, impeccable craftsmanship & classic style. The property is extremely well-appointed with two master suites (five total bedrooms), a luxurious pool, multiple inside/outside entertaining areas and a gourmet kitchen. The location in Gambrills' Saint Stephens Estates is convenient yet serene, with no HOA restrictions. Call Levi Royster (443-858-4094) or Jerry Kline (443-924-7418) with Keller Williams Flagship of Maryland for a private tour of this truly distinctive property.